We invite you to raise your glass and remember - Life’s a Party, GET WILD! In the summer of 2010, in a small bar in Lansing, MI, two old friends were meeting for a beer and some buffalo wings. Randall “Texas Wild” Lockwood , who like many of the time, was recently “let go” from his corporate technology job asked his friend.. “Wouldn’t it be great if we could make a living doing what we love”? When Tex was then asked what he loved to do his reply was simple: “I like to drink cold beer and eat hot buffalo wings”. They both laughed, and Tex said…. “That’s it then, that’s what I’m going to do for the rest of my life”. Sauce Gone Wild was born that afternoon and Tex began perfecting a long time family wing sauce recipe. Tests were done at local bars, and SGW fans, lovingly called “Wing Nuts” were fanatically loyal! A grass roots movement started and after many trials and Tex’s persistence, this Michigan made wing sauce company, found a local food manufacturer that would produce what was now a total of 6 premium quality sauces. 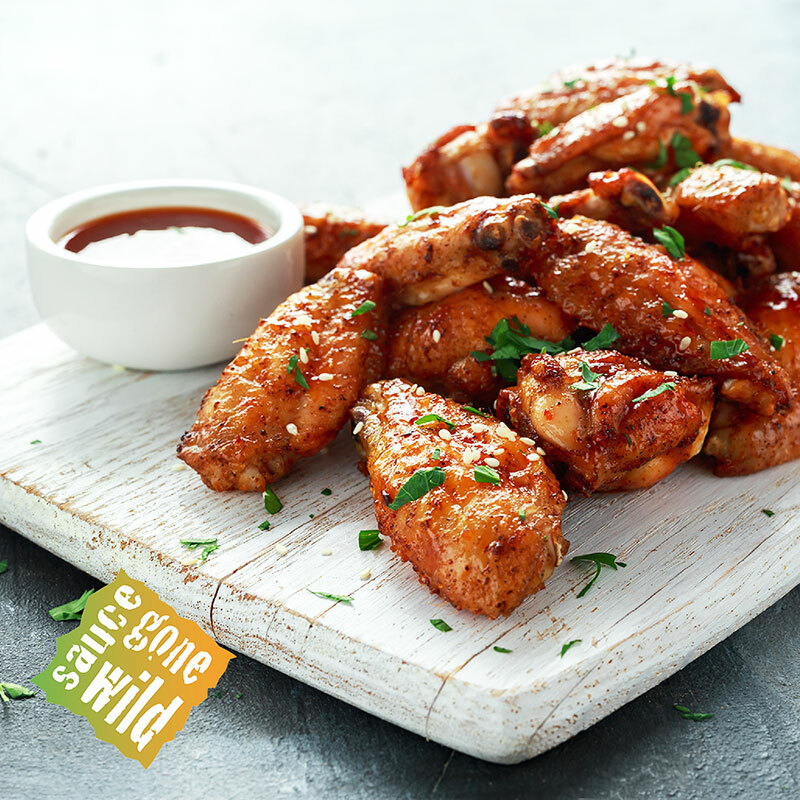 In the fall of 2011, Sauce Gone Wild wing sauces began being distributed by a major food supply company and was quickly appearing in bars and restaurants throughout the state. In June of 2012, Sauce Gone Wild introduced their 12 oz bottle line and began appearing in convenience and grocery stores in the Mid-Michigan area. The dream was now a reality and Tex’s quest to provide local bars and restaurants with QUALITY wing sauces, their own Sauce Gone “WILD GIRLS”, and WILD wing nights, had now begun. “I just love people- happy people”, Tex said in an interview in 2012…” and I have rarely seen them happier than enjoying a cold beverage at a wing night with friends in a local tavern- I’m just glad I could be a part of it”.